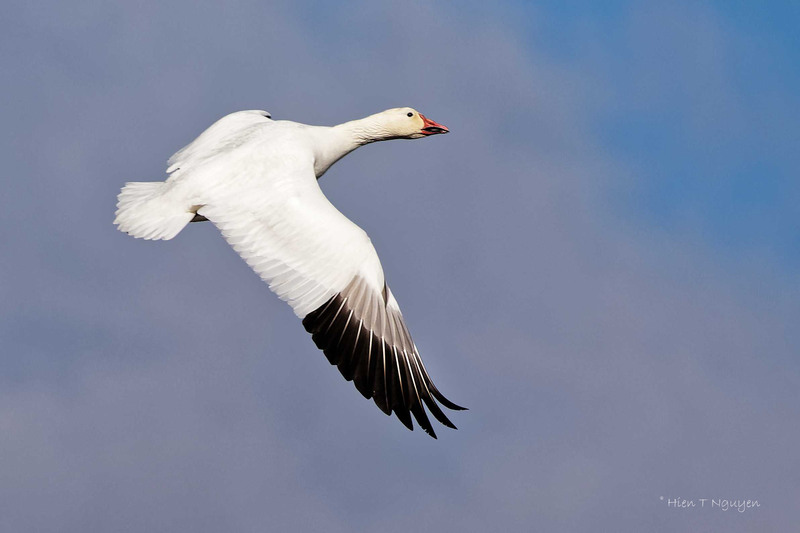 Shortly after the Snowy Owls, thousands of Snow Geese appeared at Edwin B Forsythe National Wildlife Refuge. 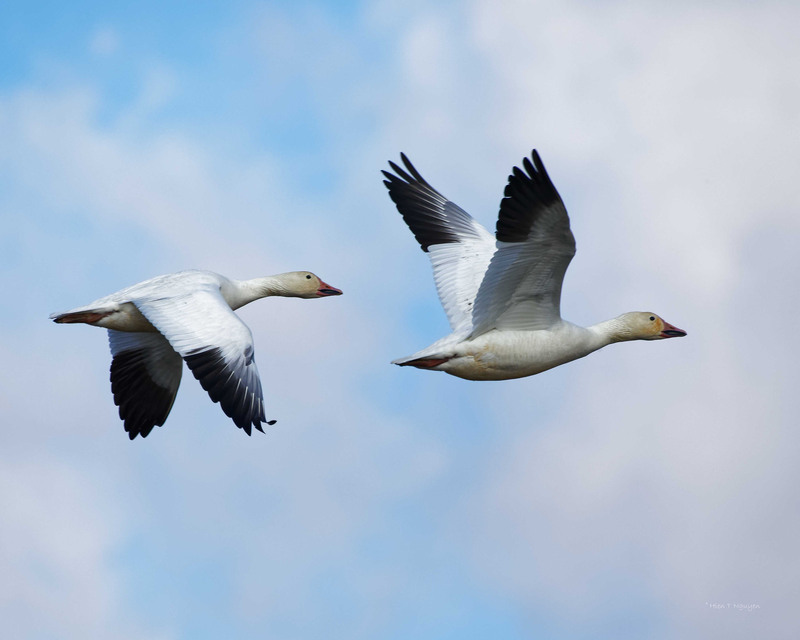 New Jersey is on their migration path, and the refuge is a rest stop for them as they fly back to breeding grounds in the Canadian and Alaskan tundras. The sky was a painterly mix of blue with gray and white clouds, and it was good to be clicking away knowing that one can get good shots no matter what. If you miss one there were always more geese to oblige you. I love the birds. I wish it were possible to reblog. Thank you for commenting.Please feel free to reblog any time! The reblog button does not show. Thank you. It is something worth doing. Many people need to read the post. It was an issue with WordPress which affected every blog for a few days. They have fixed it now. Thanks for pointing it out to me. Thank you. I am happy as I can reblog any of your lovely posts and when ever you like to post here, please, do. Lovely range of postures, another marvelous winter bird! Thank you Eliza! I will have more photos in a day or two. Thanks Helen. 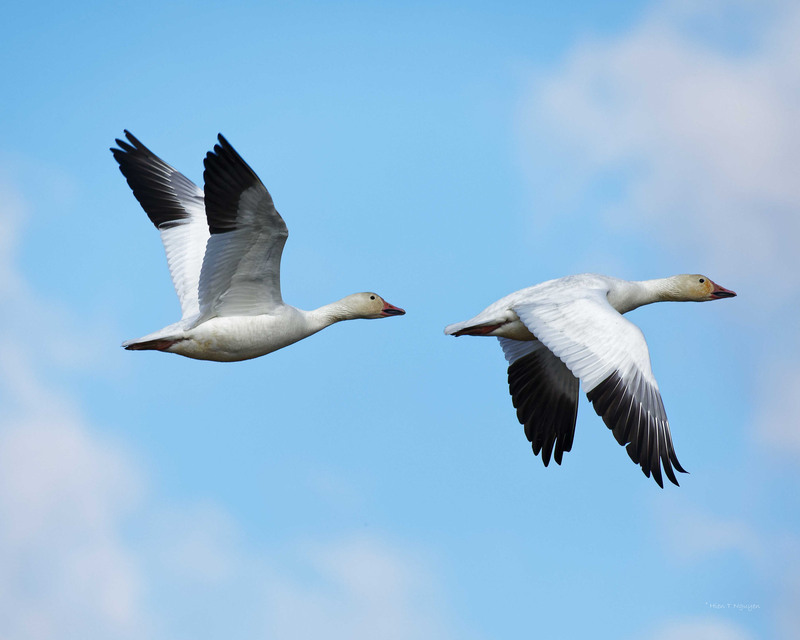 Do you see Snow Geese where you are? I think they are somewhere around, because I saw photos posted by local photographers. It’s still a little too cold for me 😉 We have freezing rain today and tomorrow. I absolutely love these! 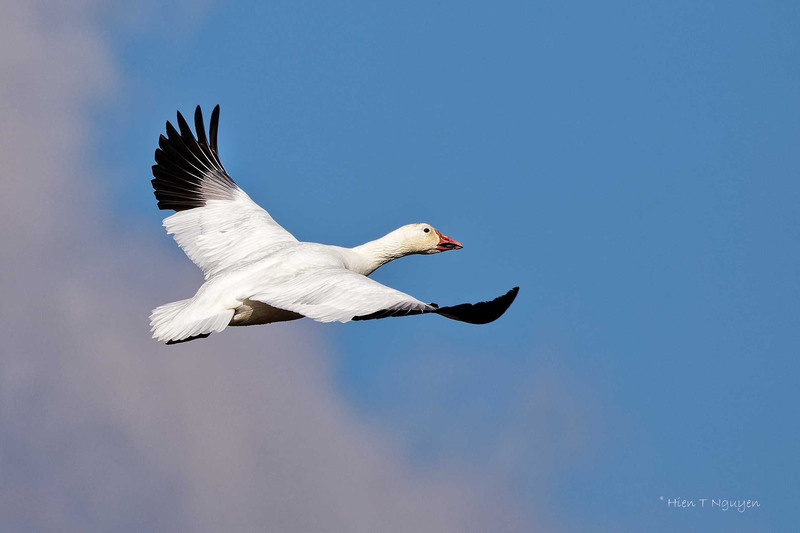 I see a few snow geese around here, but in very limited numbers, nothing like you see on the better Atlantic Flyway. 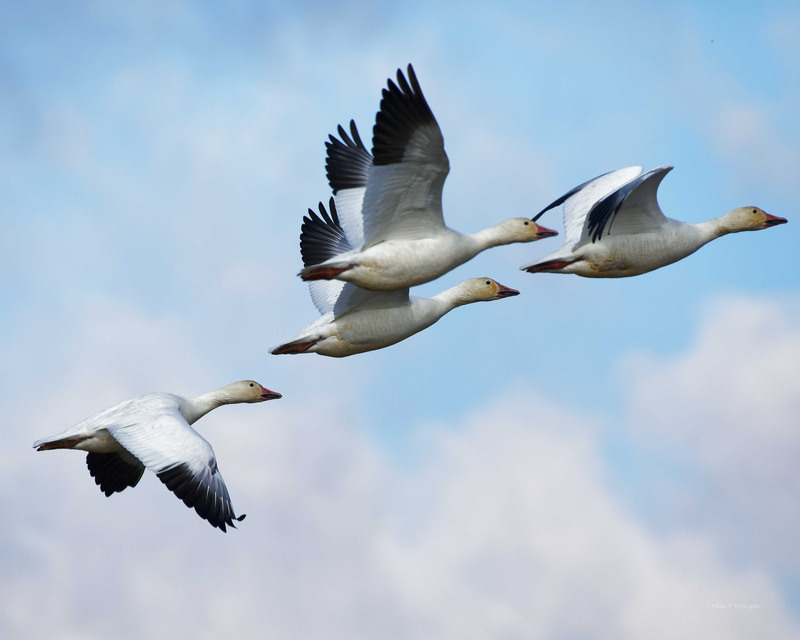 wonderful photos, what a gift to live close to the migration route. Thanks Jim! 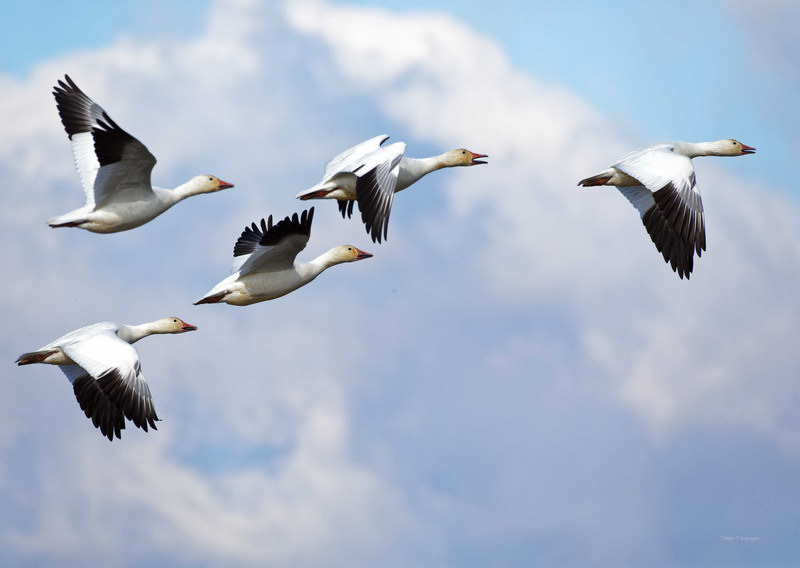 This state is on the migration path for quite a few birds and geese. Wow, the clarity is incredible! Thanks Katelon! It was a good day.